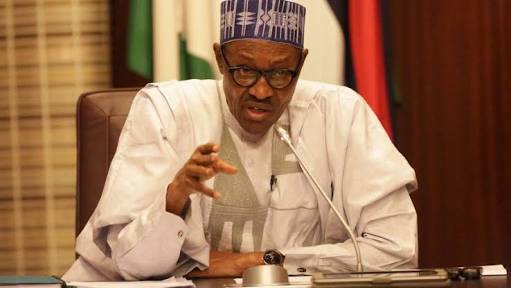 Ahead 2019 General Elections, reports emanating from certain quarters have revealed that there is immense pressure on President, Muhammadu Buhari not to contest for office in the 2019 General Elections. We gathered the pressure on Buhari is particularly from the International community including the European Union, The United States, The United Kingdom and the Kingdom of Saudi Arabia. Sources also revealed that President Buhari who is currently on a 10 day vacation in the UK may possibly extend his vacation for another 11 days. President Buhari declared his intention to run for office again in April. The sources further revealed that the pressure from the International community stems from the fact that President’s Buhari’s three years in office has been characterized by extreme divisions within the country which they fear might worsen if he got a second term in Office. The Nigerian President’s Ill health was also an issue raised by the International Community. Shortly before departing for the UK for his 10 day Vacation, President Buhari had visited his campaign organisation office where he appealed to his supporters to suspend campaign activities for the moment. He had appealed to them to suspend his re-election campaign because the campaign season had not been officially flagged off by the country’s electoral umpire; The Independent National Electoral Commission (INEC), in compliance with Nigeria’s electoral laws. Before the appeal was made, President’s Buhari’s re-election campaign organisation had started campaigns through advocacies as well as placements of adverts in the media in direct contravention of the country’s electoral laws. Confirming the news, a member of the ruling All Progressives Congress (APC) National Working Committee (NWC), revealed that there was a possibility that the president might not seek re-election as being rumoured. He further revealed that party officials loyal to President Buhari were already considering supporting Babagana Kingibe for the office of President to replace Buhari. Babagana Kingoibe had served as Secretary to the Federal Government (SGF) from 2007 to 2008 under the late Umaru Musa Yar’Adua. “Yes, I am aware of the development though it is not something that is being discussed at the party level for now. For now, it is not a serious issue because one, the president has not made up his mind whether to continue with his re-election plans or do a single term or bow out. “But one thing I know is that ever since the president announced his desire to seek re-election at the party’s NEC meeting in April, there has been serious pressure on him, especially from the international community, to rescind his decision and that is why some power brokers in the presidency are already considering Babagana Kingibe as an alternative if the president decides not to run.” He said further. President Muhammadu Buhari took over power from Former President Goodluck Jonathan of the Peoples Democratic Party on a mantra of change touted by the ruling APC. The 2015 elections were historic because it was the first time in the history of Nigeria that an incumbent president was defeated by an opposition party candidate. More importantly the incumbent accepted defeat and graciously bowed out of office, something quite uncharacteristic of African leaders. President Buhari’s tenure has however been beset by massive corruption on a grand scale, insecurity at its highest levels and huge political tension and instability within the country. President Buhari’s government is also blamed for running a fast growing robust economy into the ground as Nigeria was hit by a crippling recession as Buhari took over power in 2015. Rivers Rerun : Amaechi begs residents to vote for APC. Fayose Congratulates The New Ooni. Speakers At Chatham House Move Against Buhari Says ‘Nigeria Needs Younger Leader In 2019’ .